Sometimes if you don’t look up in a room, you don’t even notice them, but lamp shades can and do offer an extra interior decorating detail that shouldn’t be overlooked. It’s the attention to detail like this that can really add the wow factor to your room so it’s not one to be forgotten. And there are some gorgeous examples out there that really don’t cost too much. 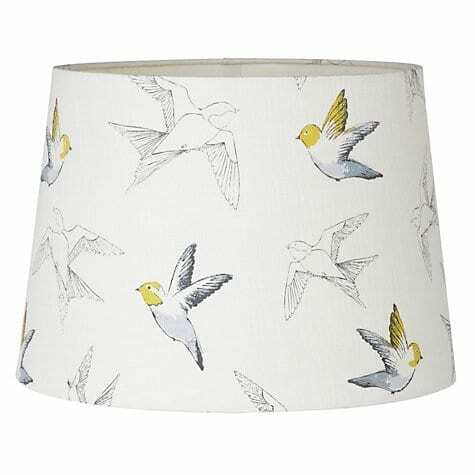 I’ve been looking longingly at the range of lamp shades available at John Lewis and thought you would like to see my little wishlist. 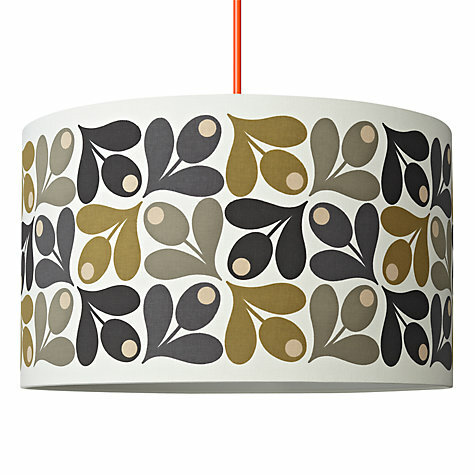 You can’t beat the unmistakable Orla Kiely pattern for adding a little retro flair to your room. I love the shades in this one too, bang on trend, subtle yet very stylish. I know it’s probably on the pricey side for a lamp shade drum but it is beautiful and that’s what we pay for! Clarissa Hulse is another unmistakable pattern too and I just love this beautiful purple and silver silk offering. Elegant and striking it would add a beautiful finishing touch to a modern room. You may well know that I’m a big Harlequin Scion fan and this lamp shade does nothing to deter me. 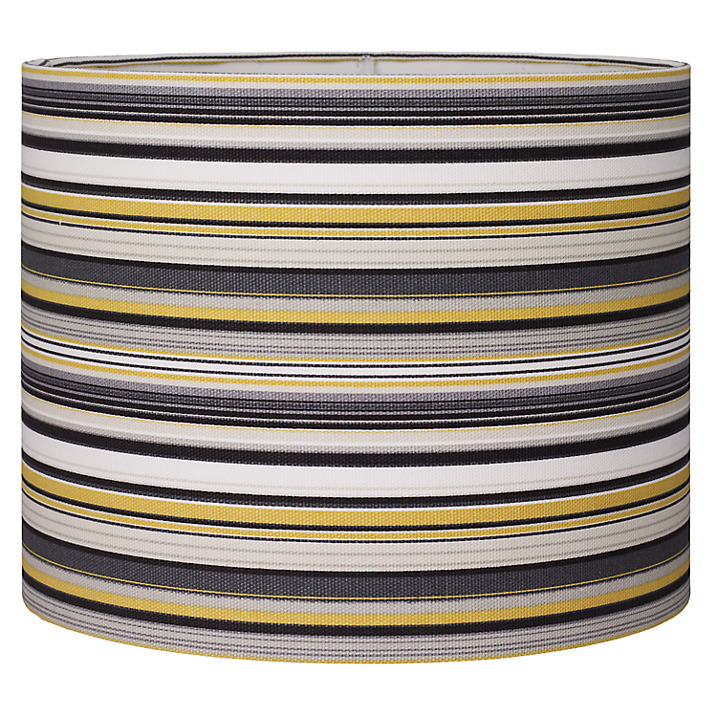 I’m also a bit of a sucker for the yellow and grey trend, and I love stripes so to me this is just spot on. Great for a bachelor pad, or a modern, contemporary living space and a great price too. 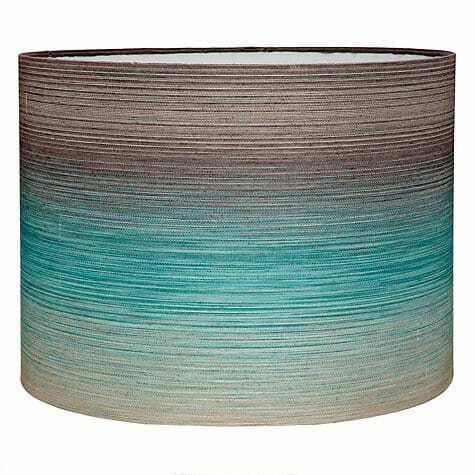 Another lovely Harlequin drum shade in one of my favourite colours, teal. I love the colour graduation in this one, from the dark silver through to teal and then paler silver. Again made from silk this is a stylish and beautiful accessory for your home. Now if I was pushed to choose a favourite this may well be it. I love its playfulness, and almost eery charm. 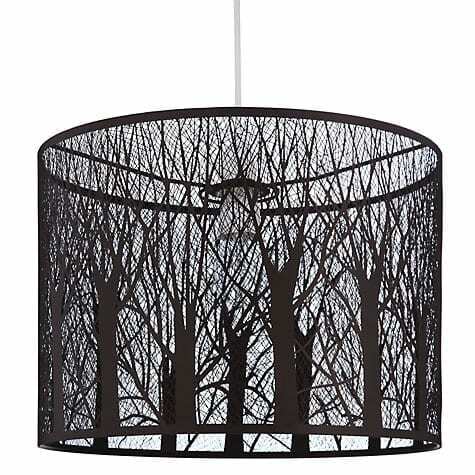 This woodland inspired shade will bring the forest directly into your home. 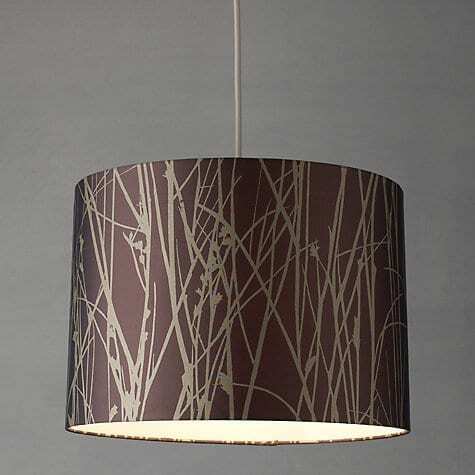 Cast from metal and finished in a matt effect paint, when lit the light will escape and cast a forest against your walls. Fantastic! A great price for a really versatile, pretty lamp shade. Suitable for both pendants and bases, the simple swallows will bring a bit of wildlife into your home. So what do you think of my selection? Are there any lamp shades there that you’d put into your home?